Compared to the analog systems previously used, REMA 1000 management and security staff are highly satisfied with the combined power and flexibility of the IQeye-Milestone IP video surveillance solution. IQinVision (http://www.iqeye.com), market leader in high-performance HD megapixel IP cameras, today announced that REMA 1000, a grocery chain headquartered in Oslo, Norway, has implemented IQinVision HD megapixel surveillance in a number of their stores in the city of Bergen. Milestone XP Essential® is the video management software platform for the project and the project integrator is Witronic AS. REMA 1000 is a multinational no-frills supermarket chain owned by the Reitan Group (Reitangruppen). REMA is short for REitan MAt (Reitan Food). The number 1000 refers to the stores offering a selection of only 1,000 different products. 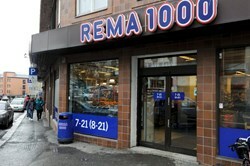 REMA 1000 has hundreds of supermarkets throughout Scandinavia. To date, REMA 1000 has installed approximately 100 IQeye HD megapixel cameras in six supermarket locations in Bergen. Each store has between 12 and 20 cameras. The end user chose a versatile mix of IQeye Alliance-mini and Alliance-mx domes to prevent theft, protect assets, and improve safety for employees and customers. The IQeye cameras record to the Milestone XP Essential video management software and the end user employs live monitoring of the video feeds. By Norwegian law, video is also stored for a minimum of seven days. All cameras are least 2MP resolution and utilize H.264 compression. REMA 1000 signed a service contract with Witronic that allows them to update camera software, upgrade client applications, and maintain the video monitoring system automatically, ensuring optimal functionality at all times. In recent months, REMA 1000 experienced directly what a top quality video surveillance system can do: two thieves who stole over 10,000 kroner ($1,650) of merchandise were captured after being positively identified based on the high resolution images provided from the IQeye cameras. In addition, REMA 1000 uses their megapixel cameras to record license plates in the event of any incidents at the stores. Compared to the analog systems the stores had previously used, REMA 1000 management and security staff are highly satisfied with the combined power and flexibility of the IQeye-Milestone IP video surveillance solution. IQinVision has been designing, manufacturing and marketing the IQeye line of HD megapixel IP cameras since 1998. A world leader in IP network camera products, IQinVision is renowned for image quality, stability and reliability in the harshest environments. ONVIF and PSIA compliant, IQeye cameras are integrated with all leading NVRs and are backed by the most comprehensive warranty program in the industry. The company’s products are widely deployed in banking/finance, city surveillance, commercial/industrial, critical infrastructure, education, gaming, government/law enforcement, healthcare, retail and transportation applications. IQinVision is a privately-held corporation headquartered in San Juan Capistrano, California with a regional office in the Netherlands. For more information: http://www.iqeye.com.